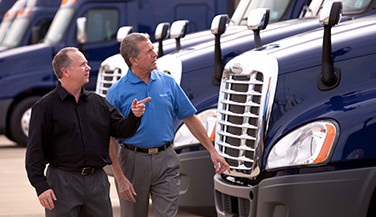 The extensive Freightliner® support network helps you reduce downtime and grow your bottom line. From reducing operational costs to improving customer experience, our support team has you covered. Our comprehensive support network is staffed by trained and certified technicians who provide the highest level of service and support. Pinnacle Fleet Solutions (PFS) gives you the tools you need to keep your trucks on the road and keep administrative costs low. From billing records to service pricing, PFS helps you operate at peak efficiency. 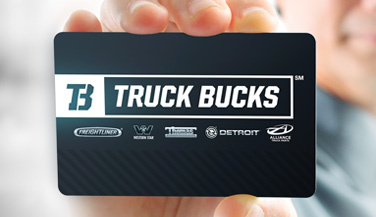 Use your Truck Bucks card to get discounts on parts and services at participating locations. Enroll for free online or at a participating retail location!